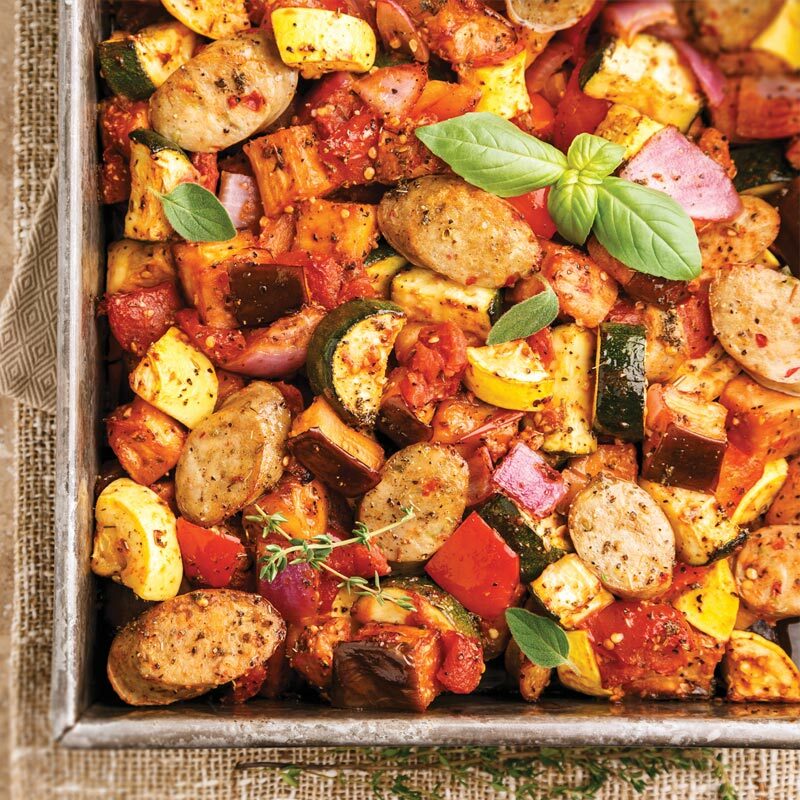 While ratatouille is traditionally stewed on the stove, this recipe roasts the medley of fresh vegetables for an even more robust flavor. 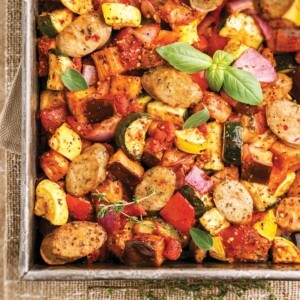 Adding Italian chicken sausage to the dish makes this a complete entrée that you can pair with steamed white rice (100 calories per ½ cup) or brown rice (110 calories per ½ cup) for a complete meal. 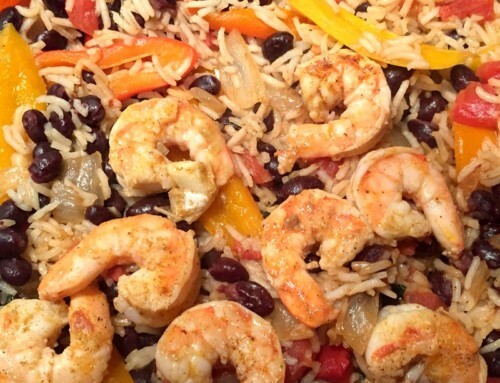 Place all the ingredients in a very large mixing bowl, and toss to combine. Transfer the combined ingredients to a 13 x 9-inch baking dish, and spread to even out the top. It is alright if the baking dish is nearly overflowing, as the vegetables will cook down. Bake, uncovered, for 1 hour. 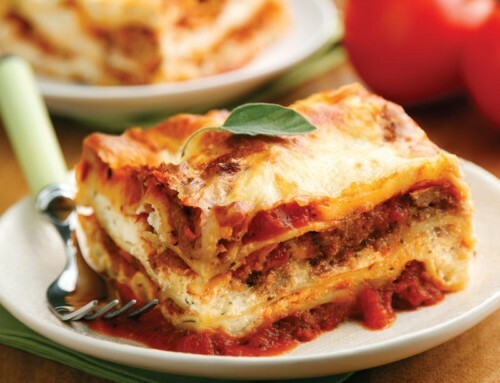 Serve immediately (though this tastes even better when reheated the next day). 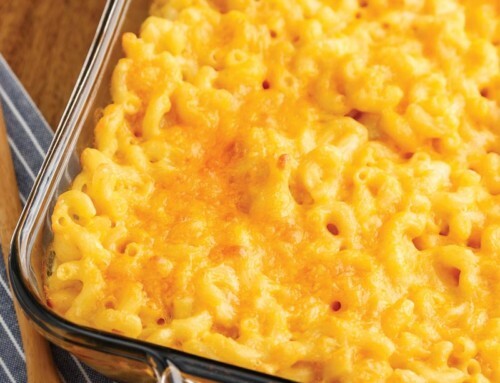 For 100 calorie portions, slice casserole into 12 sections by cutting 3 rows by 4 rows. HELPFUL TIP: The chicken sausage used in this recipe is the fully cooked variety that they sell near the hot dogs. Al Fresco® brand “Sweet Italian Chicken Sausage” is recommended and used in the nutritional information, though you can use any brand and flavor.